KING DURING 6 YEARS 2007-2013!!! I drove this car in germany! isnt the top speed 224mph?? anyone knows the curbweight of this car? I heard that the 2645 lbs is dryweight but i'm not sure. Could someone please correct the laptime? WTF ?!?!?!? the last @SportAuto wet handling test ?!?!?! 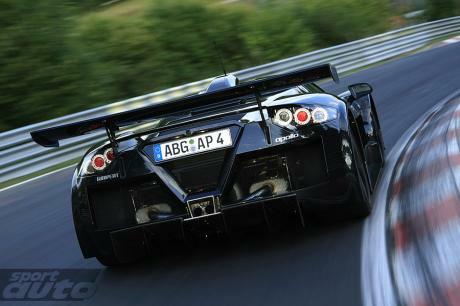 What does mean ''(IT)'' in Nurburgring laptime?? Is it still in production? Which Gumpert models are in production? is the apollo s the apollo sport? doesn't the s stand for sport? For sure race car driver are better... the reason why they are race drivers and the average Jo is not.. I have done ~8000 or more laps on my local Kart track and I guess I do there ok, currently I am in the Top30 of the best laptimes driven by not members of the local Kart club... guys like Michael Schumacher would need perhaps only a handfull laps in the same Kart to beat my time clearly. The guys booked by car companys to lap the Ring are not amateur race drivers, they are highly skilled racer and most of them like Patrick Simon, Chris Harris, Florian Gruber, Klaus Ludwig, Walter Röhrl, Marc Basseng, Toshi Suzuki, Bernd Schneider, Jan Magnusen, Gan san to name some of them know the Ring very well with several thousend laps northloop experience..
when was the nordscheliefe lap added? amazing to see the different between the Apollo Speed driven by a young skilled race driver and the Apollo Sport (with more downforce) driven by a older highly skilled car journalist..
"i do agree that this is faster, bu i think your UnderEstimating the ACR. it did beat the lighter more powerfull $810,000 Maserati Mc12 at the Nordeschliefe by 2.3 seconds!! and thats saying Alot. " 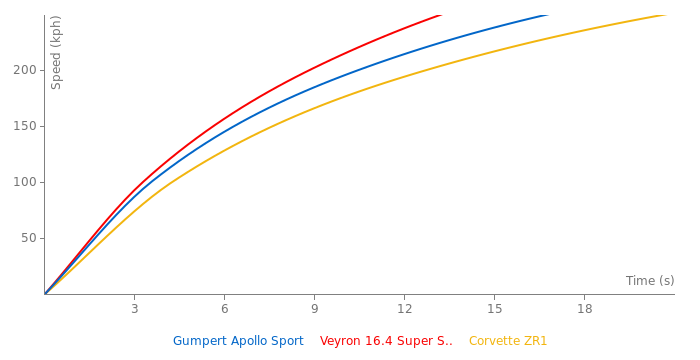 But the Apollo beat the ACR around the track by 11.4 seconds, and that's saying MUCH more. that weight is fenomenal. perfect car. "Fastest Laps is fast and stealthy like an Enzo Ninja"
i do agree that this is faster, bu i think your UnderEstimating the ACR. 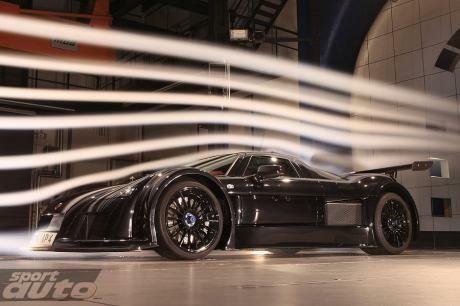 it did beat the lighter more powerfull $810,000 Maserati Mc12 at the Nordeschliefe by 2.3 seconds!! and thats saying Alot.